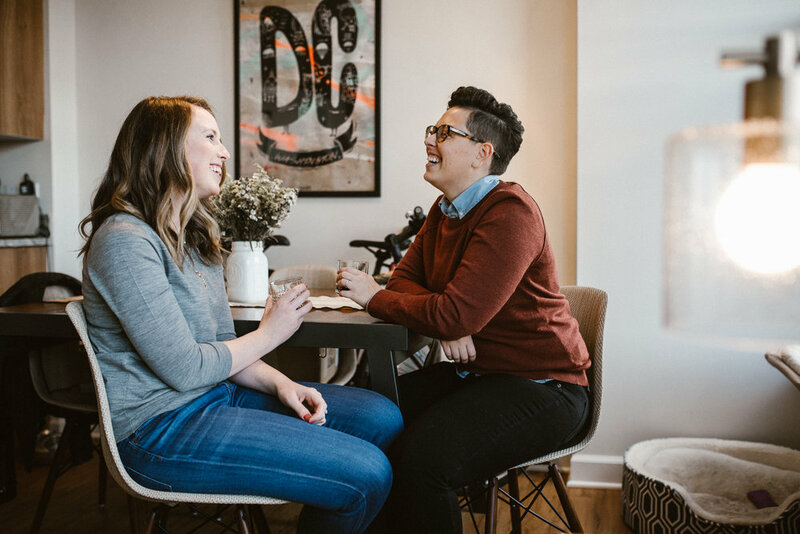 Earlier this week I got to spend some time with Kristen + McKenzie at their super cute apartment in Shaw, downtown. 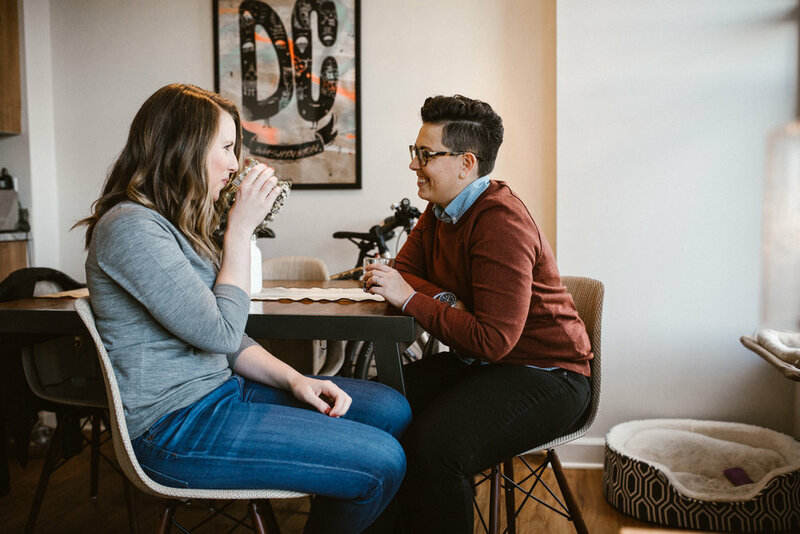 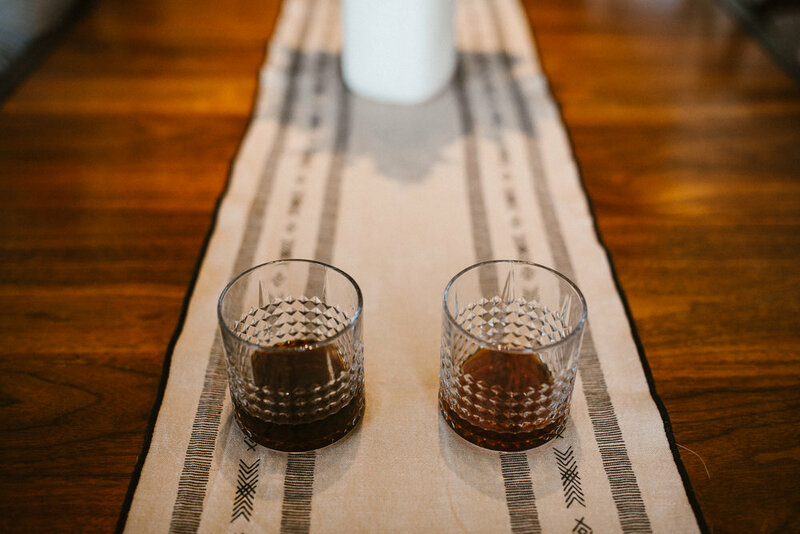 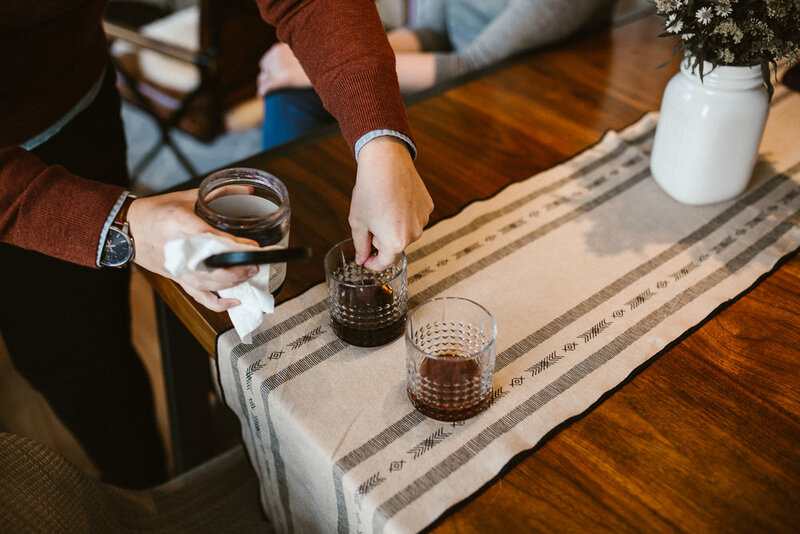 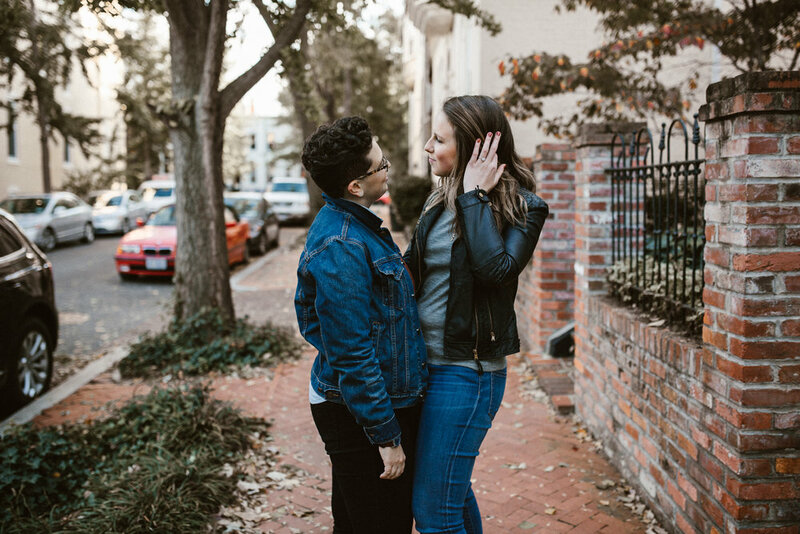 They snuggled and made drinks from their bar cart and then went on a walk, enjoying the fall weather and embracing the windy, blustery day down the street in Blagden Alley. 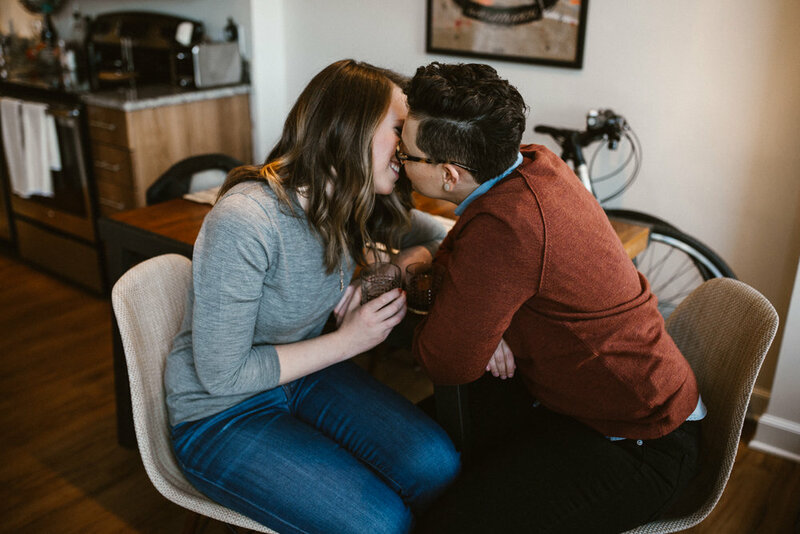 Kristen + McKenzie's love is genuine and effortless which made photographing their love super fulfilling and reminded me of why I love photographing love so much. 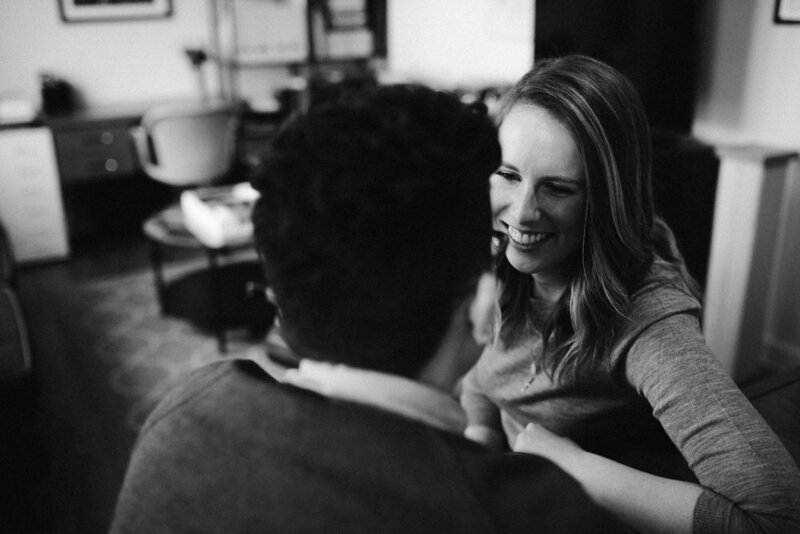 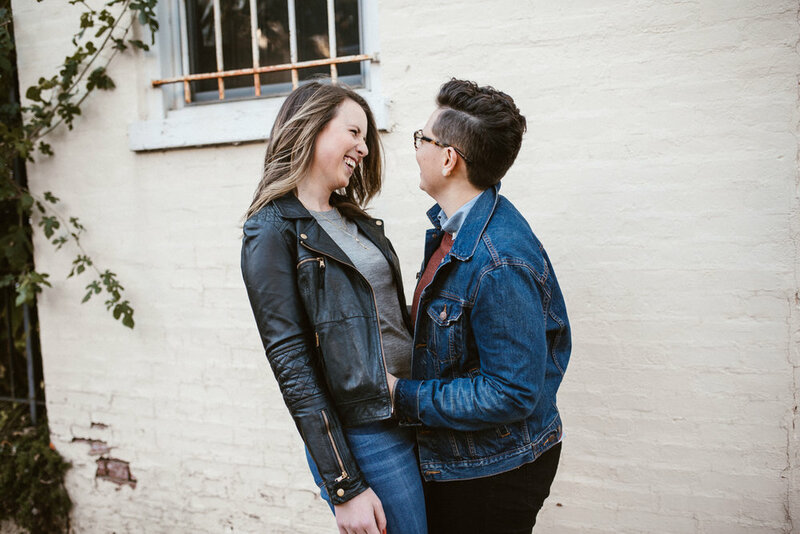 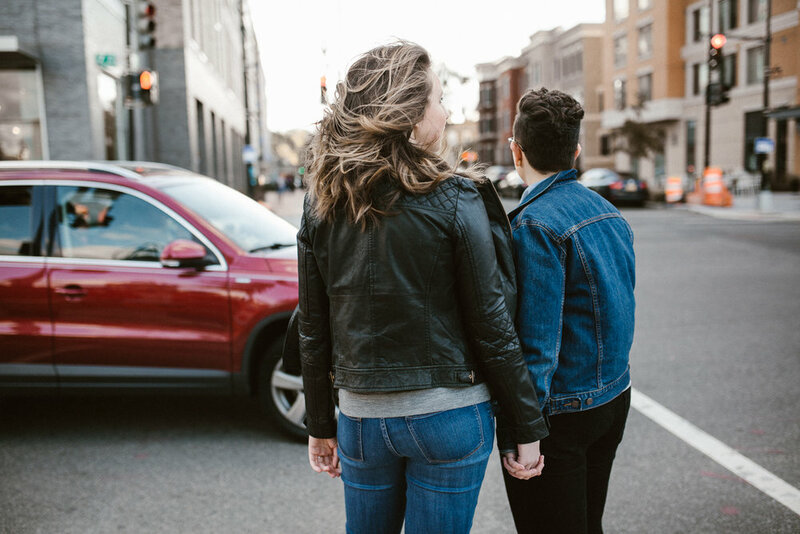 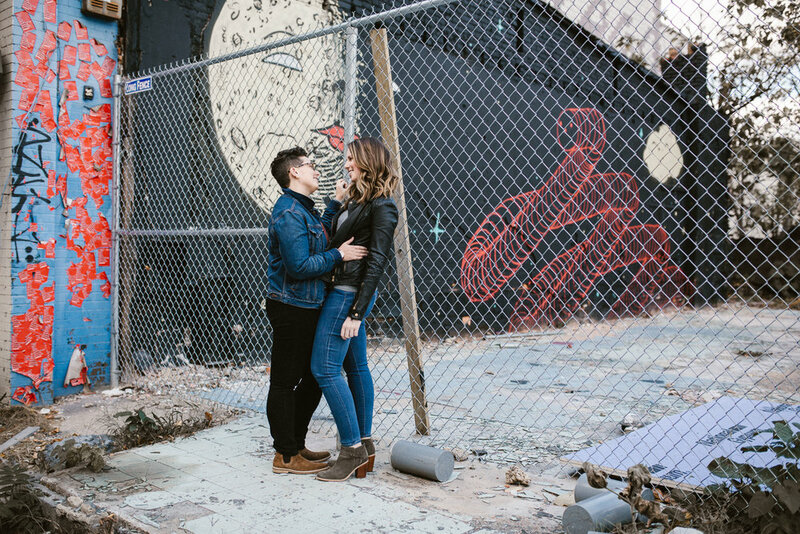 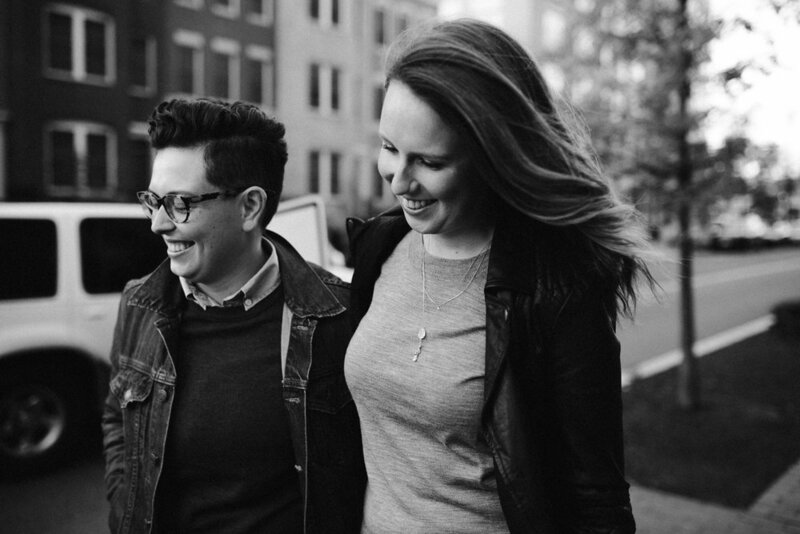 Kristen + McKenzie will be tying the knot at Josephine Butler Parks Center in DC next winter where, fingers crossed, the weather will be just right for some cozy (snowy?!) 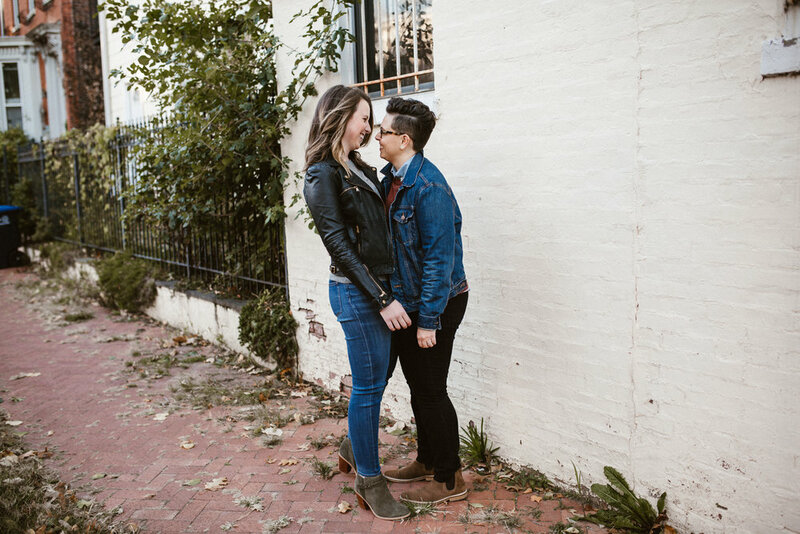 portraits at Meridian Hill.